Kids will appreciate attractions like Walt Disney World Resort and Universal's Islands of Adventure. Pack the 29th (Mon) with family-friendly diversions at Universal Orlando Resort. There's more to do: make an unforgettable trip to Happily Ever After Fireworks. To find where to stay, more things to do, and other tourist information, refer to the Orlando online day trip planner . London, UK to Orlando is an approximately 13-hour flight. You can also do a combination of train and flight; or do a combination of flight and train. The time zone difference when traveling from London to Orlando is minus 5 hours. Prepare for a bit warmer weather when traveling from London in July: high temperatures in Orlando hover around 38°C and lows are around 28°C. Finish your sightseeing early on the 30th (Tue) so you can drive to Islamorada. On the 31st (Wed), look for all kinds of wild species at Florida Keys Wild Bird Rehabilitation Center, then tour the water at your own pace with Robbie's of Islamorada, then stop by Bella Sol Fragrance Bar and Gifts, and finally stroll through Anne's Beach. To plan Islamorada vacation without wasting time, ask Inspirock to design an itinerary. Drive from Orlando to Islamorada in 5.5 hours. Alternatively, you can take a bus; or do a combination of train and bus. Traveling from Orlando in July, Islamorada is a bit warmer at night with lows of 32°C. Wrap up your sightseeing on the 31st (Wed) to allow time to drive to Marathon. Kick off your visit on the 1st (Thu): stop by Bayshore Clothing, look for all kinds of wild species at Pigeon Key Foundation, then identify plant and animal life at The Turtle Hospital, and finally kick back and relax at Sombrero Beach. For photos, other places to visit, maps, and other tourist information, refer to the Marathon trip site . Getting from Islamorada to Marathon by car takes about an hour. Other options: take a bus. In July, daily temperatures in Marathon can reach 39°C, while at night they dip to 32°C. 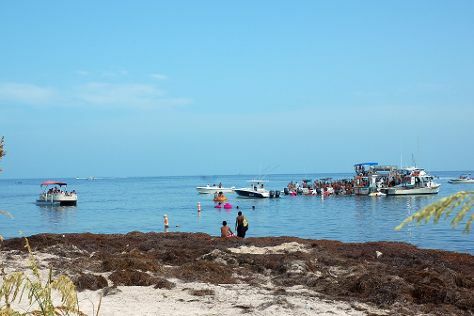 Finish up your sightseeing early on the 1st (Thu) so you can catcht the bus to Big Pine Key. Big Pine Key is a census-designated place and unincorporated community in Monroe County, Florida, United States, on an island of the same name in the Florida Keys. Start off your visit on the 2nd (Fri): stop by Out of the Blue Gallery, then identify plant and animal life at National Key Deer Refuge, and then admire the majestic nature at Bahia Honda State Park. For more things to do, other places to visit, maps, and tourist information, use the Big Pine Key route planner. Big Pine Key is just a short distance from Marathon. In August, plan for daily highs up to 39°C, and evening lows to 31°C. Cap off your sightseeing on the 2nd (Fri) early enough to catcht the bus to Key West. Kids will appreciate attractions like Key West Butterfly & Nature Conservatory and Fun In The Sun Key West. Head to Uva Wine Shop & Bar and Sunset Celebrationfor some retail therapy. There's lots more to do: get up close to creatures of the deep with a dolphin and whale watching tour, steep yourself in history at Key West Shipwreck Treasure Museum, get interesting insight from Tours, and explore the different monuments and memorials at Key West Cemetery. For traveler tips, where to stay, reviews, and more tourist information, go to the Key West trip itinerary maker app . Traveling by bus from Big Pine Key to Key West takes an hour. Alternatively, you can drive. In August, daily temperatures in Key West can reach 38°C, while at night they dip to 32°C. Finish up your sightseeing early on the 5th (Mon) so you can travel to Miami. Start off your visit on the 6th (Tue): shop like a local with Aventura Mall, then get a taste of the local shopping with Lincoln Road, and then buy something for everyone on your list at Village of Merrick Park. 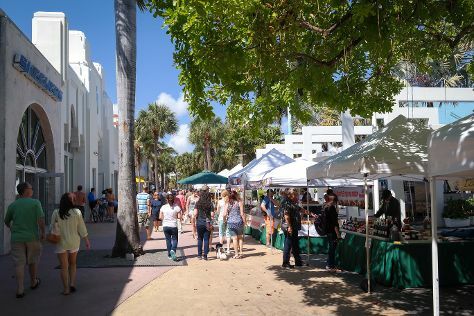 On the 7th (Wed), you'll have a packed day of sightseeing: browse the different shops at Bayside Marketplace, contemplate the long history of Freedom Tower, then make a trip to Collins Avenue, and finally enjoy the sand and surf at South Beach. For traveler tips, reviews, other places to visit, and more tourist information, you can read our Miami trip planner . Fly from Key West to Miami in 2.5 hours. Alternatively, you can do a combination of flight and bus; or drive. In August, daytime highs in Miami are 38°C, while nighttime lows are 30°C. Finish up your sightseeing early on the 7th (Wed) so you can travel to New Orleans. 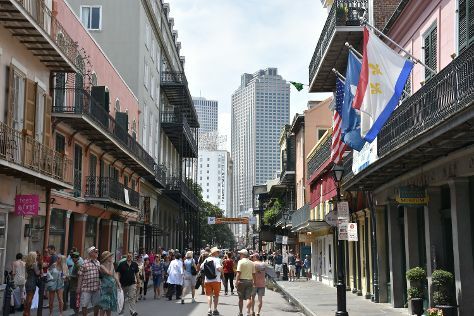 On the 8th (Thu), hunt for treasures at Frenchmen Street, then shop like a local with Royal Street, then stop by Faulkner House Books, and finally appreciate the extensive heritage of French Quarter. On the next day, meet the residents at Audubon Zoo and then examine the collection at The National WWII Museum. To see where to stay, more things to do, other places to visit, and more tourist information, go to the New Orleans trip planning tool . Traveling by combination of tram and flight from Miami to New Orleans takes 4 hours. Alternatively, you can do a combination of bus and flight; or drive. You'll gain 1 hour traveling from Miami to New Orleans due to the time zone difference. When traveling from Miami in August, plan for little chillier days and about the same nights in New Orleans: temperatures range from 32°C by day to 32°C at night. Wrap up your sightseeing on the 9th (Fri) to allow time to travel back home.